I find cheeses with complexity and depth incredibly pleasurable. There are quite a number of complex cheeses out there, but none stick to me quite like Tomme de Savoie (Tum-duh-Sav-Wa). This cheese will take your taste buds on a ride. 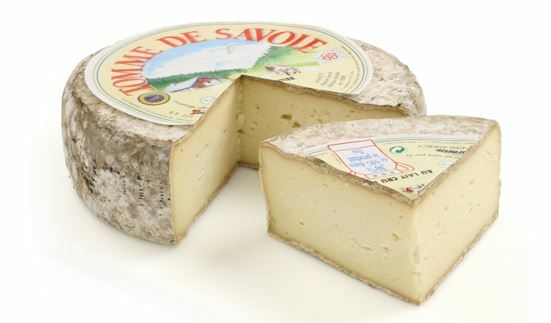 A roller coaster has twists, turns and drops; likewise, Tomme de Savoie provides a thrilling experience of flavors. At first bite, you’ll taste fresh grass followed by a tang. And, as you chew, a shift occurs, where there are notes of toasted nuts, hay and wood. As it dissolves in your mouth, it finishes slightly sweet with a hint of sharpness!